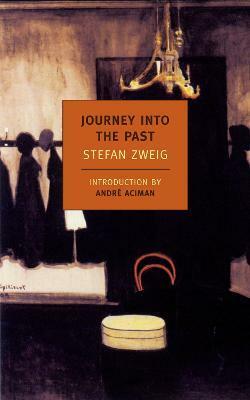 A deep study of the uneasy heart by one of the masters of the psychological novel, Journey into the Past, published here for the first time in America, is a novella that was found among Zweig's papers after his death. Investigating the strange ways in which love, in spite of everything--time, war, betrayal--can last, Zweig tells the story of Ludwig, an ambitious young man from a modest background who falls in love with the wife of his rich employer. His love is returned, and the couple vow to live together, but then Ludwig is dispatched on business to Mexico, and while he is there the First World War breaks out. With travel and even communication across the Atlantic shut down, Ludwig makes a new life in the New World. Years later, however, he returns to Germany to find his beloved a widow and their mutual attraction as strong as ever. But is it possible for love to survive precisely as the impossible? Stefan Zweig (1881-1942), novelist, biographer, poet, and translator, was born in Vienna into a wealthy Austrian Jewish family. During the 1930s, he was one of the best-selling writers in Europe, and was among the most translated German-language writers before the Second World War. With the rise of Nazism, he moved from Salzburg to London (taking British citizenship), to New York, and finally to Brazil, where he committed suicide with his wife. New York Review Books has published Zweig's novels The Post-Office Girl and Beware of Pity as well as the novella Chess Story. Anthea Bell is the recipient of the 2009 Schlegel-Tieck Prize for her translation of Stefan Zweig's Burning Secret. In 2002 she won the Independent Foreign Fiction Prize and the Helen and Kurt Wolff Prize for her translation of W. G. Sebald's Austerlitz. André Aciman is the author of the novels Eight White Nights and Call Me by Your Name, the nonfiction works Out of Egypt and False Papers, and is the editor of The Proust Project. He teaches comparative literature at the Graduate Center of the City University of New York.